With our recent growth capital investment from Teakwood Capital and the addition of these two executives, Marketing Advocate is in the best position to capitalize on the innovation of our SaaS-based marketing automation platform. Marketing Advocate, the pioneer in Through-Partner Marketing Automation (TPMA) software, has rounded out its corporate management team to prepare for aggressive growth by naming two seasoned industry executives to its senior ranks. Michael Roseman has been appointed Executive Vice President of Operations and Courtney Wiley has been named Vice President of Marketing. As Executive Vice President of Operations, Michael Roseman is responsible for defining and executing Marketing Advocate’s customer-facing strategies. Michael has more than 20 years of experience in customer service and consulting industries focused on growing scalable operations. Prior to joining Marketing Advocate, he served as Vice President, Professional Services at OneSource Virtual. Previously, he held a number of senior leadership positions at Astadia, including: Senior VP of Professional Services, VP of Global Operations, VP of Finance and Strategy, and VP of Human Resources. He began his professional career at Neiman Marcus, where he gained experience in operations management and finance. Michael earned his BA in History from Emory University, a Graduate Certificate from The Chinese University of Hong Kong, and an MBA in Operations/Accounting from the University of Texas at Austin. As Vice President of Marketing, Courtney Wiley is responsible for corporate marketing programs including branding and advertising, influencer relations, corporate communications, events, product management and pricing, and demand generation. Previously, she served as Director of Digital Marketing Strategy and Best Practices at Oracle. Prior to Oracle, her leadership in digital demand generation and new business acquisition at RightNow Technologies was instrumental in Oracle’s $1.45B acquisition of the company. Courtney has spent more than 15 years building winning teams in technology marketing for SMBs and enterprise organizations, and her efforts have resulted in her teams being recognized as the #2 generator of pipeline and qualified leads. She was recently named a "Top #Nifty50 Women in Technology on Twitter” and is frequently invited to speak at marketing events around the globe. Her thought-leadership articles can be found on leading sites such as ChiefMarketer.com, MarketingProfs.com, and iMediaConnection.com. 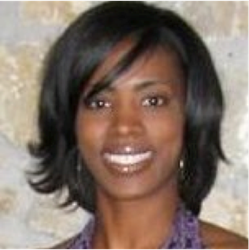 Courtney holds an Honors BBA degree in Marketing from Southern Methodist University and an MBA in Marketing from the University of Texas at Dallas. “With our recent growth capital investment from Teakwood Capital and the addition of these two executives, Marketing Advocate is in the best position to capitalize on the innovation of our SaaS-based marketing automation platform,” said Morris. Marketing Advocate was recently recognized as a 2013 Gartner “Cool Vendor” and showcased as a corporation that is innovating sales and marketing techniques to help global IT providers go to market more effectively.